Football – Soccer aficionados are relieved that English Premier League action resumes Friday, only 27 days after France lifted the Fifa World Cup. When Jose Mourinho’s Manchester United lock horns with Claude Puel’s Leicester City later tonight, they open curtains to a drama that has engrossed billions for over two decades. Besides the obvious battle among Top Six rivals Manchester City, Liverpool, Chelsea, Spurs, Arsenal and Man United, there are several other subplots that have made the league more viewable than anything La Liga, Ligue One, Serie A and the Bundesliga combined can offer. Here are some of the subplots to look out for. 1- Top Signings. Good signings are often the thin margin between success and failure. In the 2017/18 season, title winners Manchester City’s acquisitions in the previous two seasons – Leroy Sane, Kevin de Bruyne, Raheem Sterling and Gabriel Jesus are the ones who made a big difference. But the top season’s top recruit was undoubtedly Liverpool’s Mohammed Salah. His 32 goals and (44 overall) set a new record, and helped Jurgen Klopp’s side to their first Champions League final in eleven years. All eyes are therefore on the five most expensive summer recruits. Chelsea’s £71m outlay on 23-year-old Spanish custodian Kepa Arrizabalaga and Liverpool’s £67m splurge on sweeper keeper Alisson Becker mean the pair are the main focus of attention. City’s £60m Algerian Riyad Mahrez, Kop enforcers Nabil Keita and Fabinho, as well as Stamford Bridge arrivals Jorginho and Mateo Kovacic will be under as much scrutiny. 2- Managerial Recruits: Of equal attraction will be the fate of managers new to the division. The managerial soap opera was already a joy to behold with half of the world’s top club bosses (Pep Guardiola, Mourinho, Mauricio Pochettino and Jurgen Klopp already in the division. 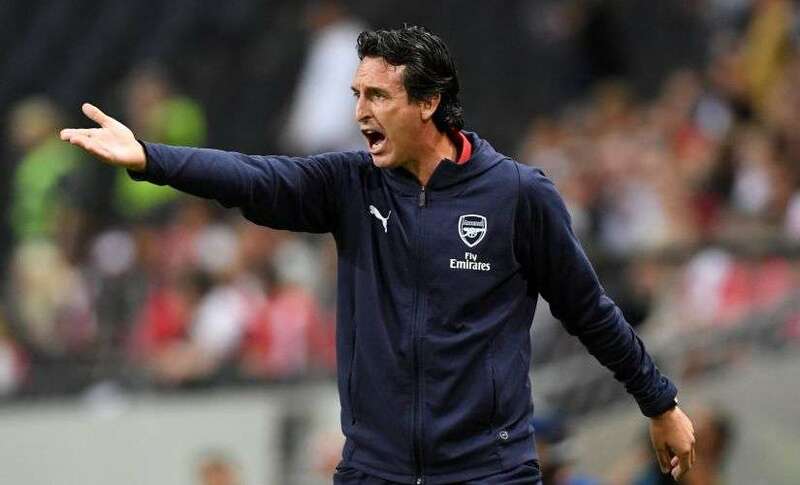 West Ham’s recruitment of former EPL winner Manuel Pellegrini, Everton’s choice of former Greek champion Marco Silva and Arsenal’s gamble on multiple Europa League and French Ligue One winner Unai Emery adds to an already volatile mix. Last season, Dutchmen Frank de Boer and Ronald Koeman, together with Antonio Conte are the coaches who suffered most, before receiving marching orders. De Boer is a four-time Dutch Eredivisie winner whereas Conte had three Serie A titles and the EPL to his name, but it all counted for nothing. So, who will be the first manager to bat an eyelid? Fans await. 3- Promoted Clubs: Like anything else novel, teams gaining promotion from the Championship are of keen interest because fans want to know whether they can make the stiff EPL grade. In the just concluded season, all three newcomers – Brighton and Hove Albion, Newcastle United and Huddersfield Town survived the dreaded relegation axe. Focus is now on Nuno Espirito Santo’s Wolverhampton Wanderers, Slavisa Jokanovic’s Fulham and Neil Warnock’s Cardiff City. In my considered view, Championship winners Wolves are well tooled to cope with top flight demands. Espirito Santo is one of the fast and rising young managers and he’s recruited well. Joao Moutinho and Rui Patricio have bags of experience, whereas Adama Traore is a speed demon with pace to burn. Fulham have also brought in key pillars in Alfie Mawson, pass Master Jean Michael Seri and ever improving Serbian target man Alexander Mitrovic. My key worry is for Cardiff City whose signings are all from lower divisions.